The cabinet recently granted Cypriot citizenship to a Russian businessman who used to be a shareholder in a Russian bank whose branch in Limassol was delivered by a firm with apparent ties to the family of President Nicos Anastasiades. The story was broken on Friday by Haravghi, a daily affiliated to the opposition Akel party. According to the report, Victor Pichugov, described as one of the top 10 richest people in Russia, received the Cypriot nationality via the citizenship-by-investment programme – a scheme that has been taking flak from the European Union and others for its alleged lack of controls and transparency. Pichugov is a former shareholder in Promsvyazbank, a Russian lender nationalised in late 2017. The bank’s building in Limassol was delivered by Imperio Properties, a firm co-owned by Yiannis Misirlis, the son-in-law of president Anastasiades. Misirlis is wedded to Anastasiades’ daughter, Ino. Promsvyazbank Tower, as it is known, was completed in June 2012 by Imperio Properties, a property development and management firm. Imperio’s directors are the brothers Yiannis Misirlis and Antonis Misirlis. According to the report, Pichugov, also an ex-senator in Russia, received Cypriot citizenship via his wife, who was the one who filed an application for naturalisation. The citizenship-by-investment scheme allows a spouse to apply automatically with the actual applicant. The Cyprus Mail is told by the Haravghi journalist that the citizenships in question were granted in December 2018. It was not clear which local service provider the Pichugovs used to file their application. The law firm bearing Anastasiades’ name appears on a list of service providers as having processed some 40 applications out of 4,800 citizenships granted. Other prominent figures are also involved in the scheme, which Cyprus introduced after the economic collapse. It has to date fetched around €5bn, mostly channelled to the construction sector. In 2013 the president transferred his shares in the law firm to his two daughters after his election. The new reveal has refocused the spotlight on Anastasiades, who only last week was telling a media outlet he had no personal connections to the controversial naturalisation scheme. Anastasiades even stated he would resign should it be proved he was linked to the programme. “Let the (House) watchdog committee investigate … if they want to dethrone me let them investigate, and if any involvement is found I can be brought before a court or even step down,” he said at the time. Following the report about the president’s son-in-law and the Pichugovs, main opposition Akel demanded that Anastasiades explain himself. In a statement on Thursday, Akel MP Stefanos Stefanos asked whether this information did not point to graft and a conflict of interest. “The expression the president used to defend himself when he said ‘they want to dethrone me’, is perhaps telling on how he views his own relationship with the office of the presidency. “The problem is, the public must now be wondering whether, when it comes to the passports, the Emperor has any clothes,” Stefanou said. Imperio Properties denied the report, describing it as a politically motivated bid to hurt the president and his family. The company said the Russian bank had bought a four-storey building from them in 2008, before the current citizenship-by-investment scheme had been launched. At that time, Pichugov was not a shareholder in the bank, Imperio said. The Russian businessman acquired shares in 2015, seven years after the building had been bought. The statement said Imperio’s main activity since its creation in 2003 was the construction and sale of commercial and housing properties mainly to foreign investors. According to a list recently published by the government, most applications (184) for the scheme were processed by PricewaterhouseCoopers (Cyprus Ltd). In second place was the law firm of Andreas Demetriades & Co LLC, with 137 applications. Third was the law firm of Michael Kyprianou and Co LLC with 123 applications, followed by Areti Charidemou & Associates LLC with 119, and audit firm KPMG with 114. It is speculated, however, that in some cases audit and accounting firms may be acting as proxies for law firms and developers who are the ones ‘fishing’ for clients. Trade fairs overseas promoting Cyprus’ citizenship-by-investment scheme are usually attended by lawyers and developers. In a report released in January, the European Commission warned that programmes of EU states, including Cyprus, to sell passports and visas to wealthy foreigners could help organised crime groups infiltrate the bloc and raise the risk of money laundering, corruption and tax evasion. It highlighted shortfalls in the Cypriot and Maltese schemes, which do not sufficiently check the origins of the wealth of individuals and do not allow their easy identification. Although legal, these schemes are sometimes run in opaque ways and without sufficient checks on those who acquire passports and visas, the commission said, mostly raising concerns about the programmes in Malta and Cyprus. 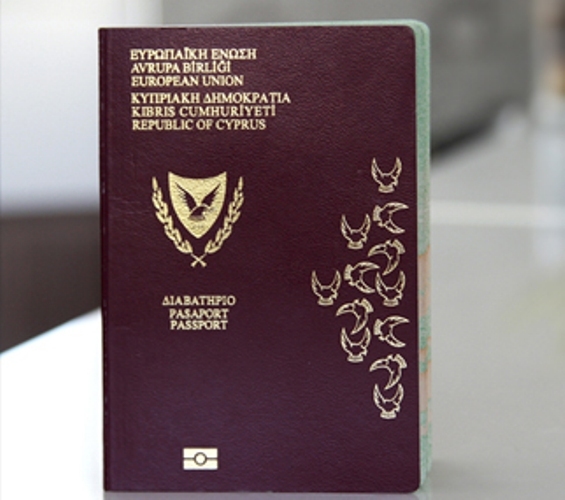 Recently the OECD placed on its blacklist Cyprus’ so-called ‘golden passport’ scheme.